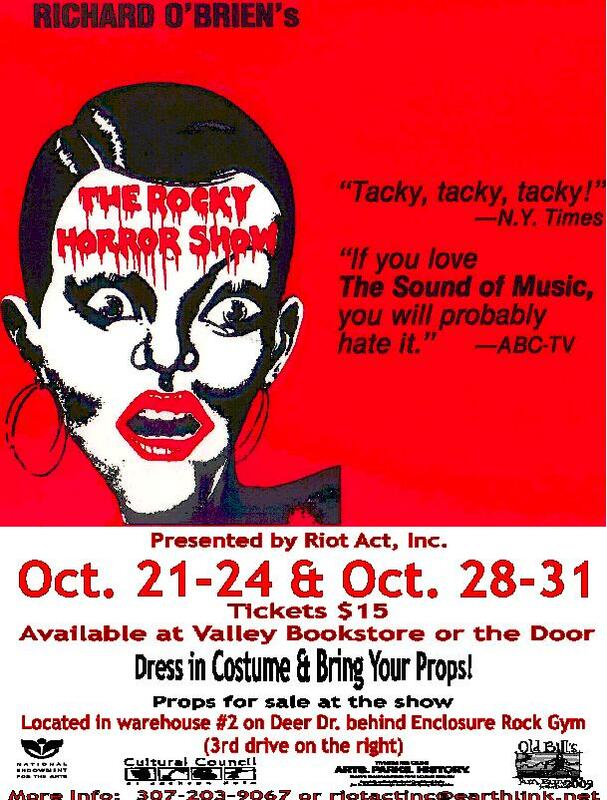 Past Productions – Riot Act, Inc.
Oct. 30-Nov. 1 & Nov. 6-8, 2014 – Living Dead in Denmark by Qui Nguyen, directed by Macey Mott, fight directed by Marius P Hanford IV. 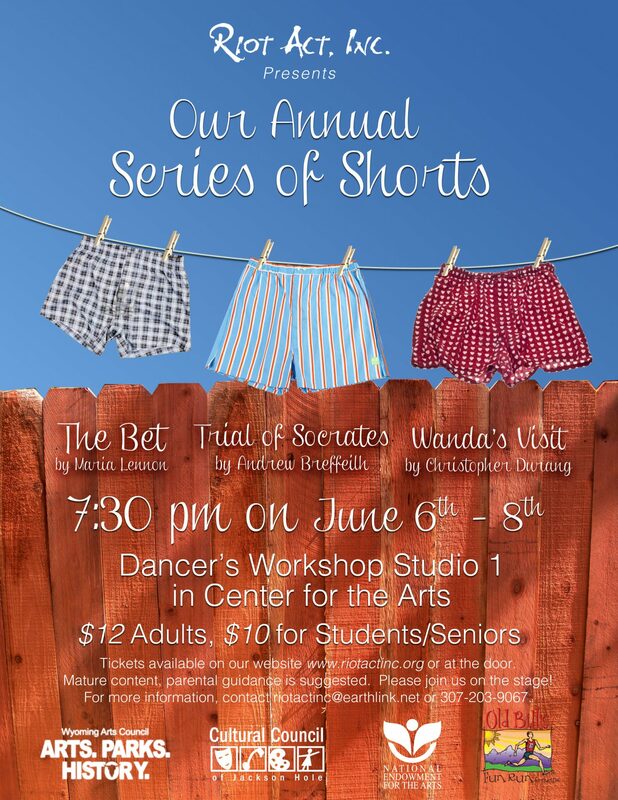 May 1-3 & 8-10, 2014 – Distracted by Lisa Loomer, directed by Macey Mott. Feb. 27-March 1 & March 6-8, 2014 – The Importance of Being Earnest by Oscar Wilde, directed by Cynthia Huyffer. 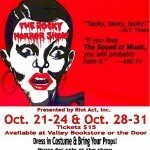 Nov. 13-15 & 20-22, 2008 – The Star-Spangled Girl by Neil Simon directed by Macey Mott. 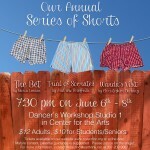 May 16-18, 2008 – Annual Series of Shorts – Feeding the Moonfish by Barbara Wiechmann, Patter for a Floating Lady by Steve Martin, and Sganarelle by Moliere. Feb. 28-Mar 1 & & Mar 6-8, 2008 – A Number by Caryl Churchill. This is play deals with the contraversal issues of cloning and nature vs. nurture. Oct. 19-Nov. 4 2007 – Telling Tales by Migdalia Cruz, on tour through WY and also some local Jackson performances. May 22-25 2007 – Annual Series of Shorts – Telling Tales by Migdalia Cruz directed by Macey Mott, Medea by Christopher Durang & Wendy Wasserstein directed by Eve Bernfeld, Krapps Last Tape by Samuel Beckett directed by Brian Guerreros, Reggie from Some Girls by Neil LaBute directed by Caryn Flanagan. 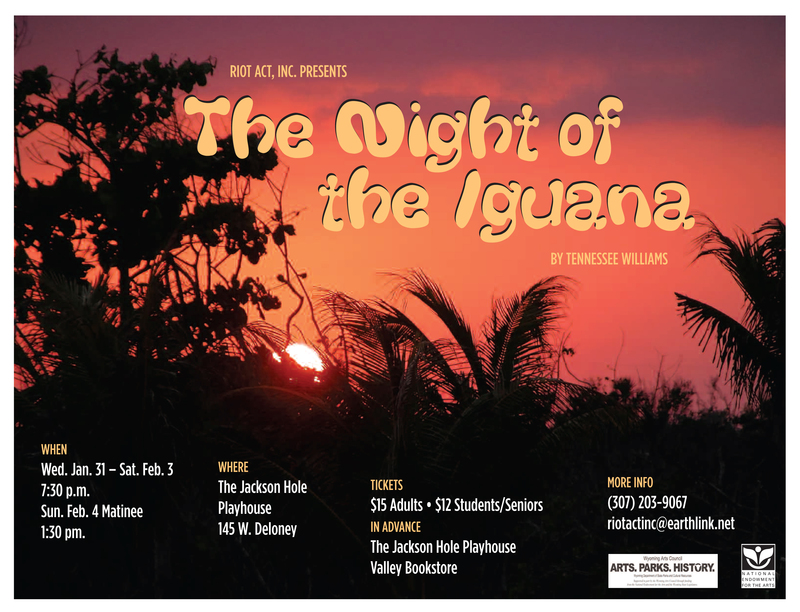 Jan. 2007 – The Night of the Iguana by Tennessee Williams. This is a wonderful play by a beloved American playwright. Supported in part by a grant from the Wyoming Arts Council, through funding from the National Endowment for the Arts and the Wyoming State Legislature. Feb. 2006 – Annual Series of Shorts: Eve & Adam by Rich Orloff directed by Marisa Sullivan & Jordan Williams, Throwing Your Voice by Craig Lucas directed by Macey Mott, Andre’s Mother by Terance McNalley directed by Jennifer Durn, The Winged Man by Jose Rivera directed by Cynthia Huyffer, and Bacon written & directed by Amy Brummit. May -June 2005 – Locking Doors by Rachel Hsieh. This is a play about 4 friends and the one they lost. The topics of grief, fear, and moving-on surface as each of the 4 women try to redefine their lives after the random murder of their close friend. Rachel Hsieh is a graduate of the University of Utah Theatre department. She consulted and attended rehearsals and offered a playwright question period after performances. October 29 & 30 2004 – The 1st Riot Act, Inc. Haunted House! Thank you to everyone for making this a huge success! June 17-19 & 23-26, 2004 – Antigone: As played & danced by the 3 Fates on their way to becoming the 3 Graces by Mac Wellman, directed by Eve Bernfeld A modern twist on the classic Greek story of love, betrayal, and treason. April 23-25, 29, May 1-2, 2004 – Kiss of the Spider Woman by Manual Puig, directed by Todd Hjelt Set in a South American prison, the play delves into the dark minds and attitudes of two very different people sharing a cell. 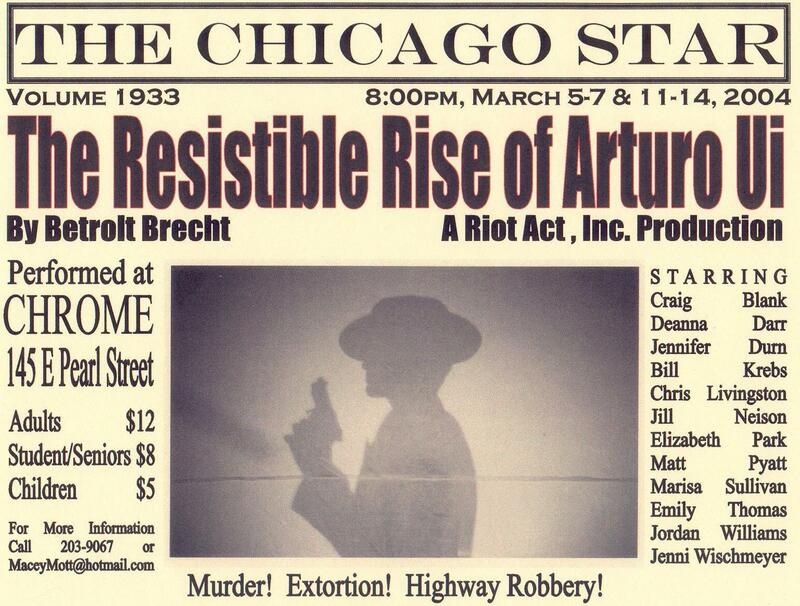 March 5-7 & 11-14, 2004 – The Resistible Rise of Arturo Ui by Brecht, directed by Macey Mott. 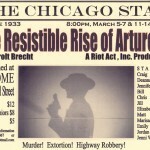 The play follows the rise of Arturo Ui, a gangster, in 1930’s Chicago, as a metaphor for Hitler’s rise to power. The play was performed in a traditional Brechtian style. September 2003 – Sexual Perversity In Chicago by David Mamet, directed by Todd Hjelt, assistant directed by Macey Mott. 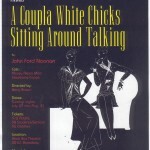 Summer 2003 – A Coupla White Chicks Sitting Around Talking by John Ford Noonan, directed by Barry Brown. February 2003 – To Gillian on Her 37th Birthday by Michael Brady, directed by Macey Alexis Mott.